Is the Gemalto SIM Actually for a Dual-Mode iPhone 5? The Verizon (s vz) iPhone 4 (s aapl) got the tear-down treatment today, revealing a Qualcomm Gobi (s qcom) chip that is both GSM and CDMA compatible. 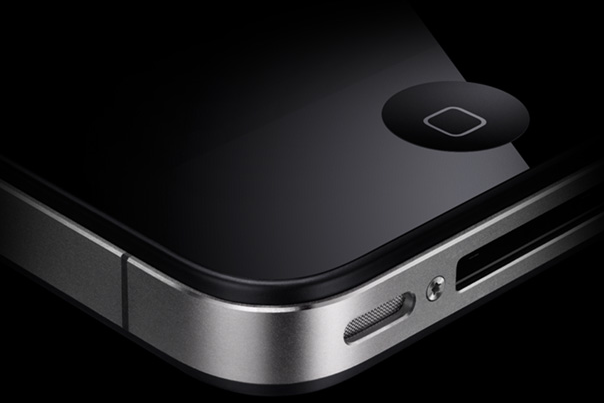 Since the Verizon iPhone doesn’t have a SIM card slot, it can’t be used on GSM networks, but there’s talk the upcoming iPhone 5 could use the same chip and offer true dual-mode functionality. And the updated smartphone might not even need a smartphone to accomplish this. The answer may lie in a tweet which is related to the news we broke last year regarding an embedded SIM solution from Gemalto, a company that currently makes SIM and micro SIM cards. @KevinCTofel @drizzled Crazy speculation but what about those rumors of Gemalto SIM from last summer? What if Apple wasn’t trying to bypass the carriers with the specially-designed hardware SIM, which would be built-in to the iPhone and be programmable to work with the carrier of a customer’s choosing? What if, instead, Apple is planning on doing away with the SIM card tray and multiple versions for the next iPhone, instead introducing one model that can work on both CDMA and GSM networks out of the box? Based on Stacey’s original description of the Gemalto SIM, this makes a lot of sense. It would still allow users to sign up for and keep contracts with carriers at the time of initial purchase, but when travelling or roaming, a user could simply download an app or configuration setting to swap out carriers as required. Of course, it may mean that iPhones wouldn’t be as easy to lock to a specific carrier as they have been, but in markets outside the U.S., Apple has been selling iPhones unlocked off-contract since the introduction of the iPhone 4 anyway. Now that it’s opened up competition in the U.S., it might have enough leverage to make this happen. A dual-mode iPhone 5 would also decrease Apple’s supply chain costs in the long run, and make the phone usable in a number of previously unreached international markets, too. CDMA isn’t nearly as popular as GSM internationally, but there are markets where it on fairly equal footing with GSM. Apple would be gain significantly from selling a phone in these markets with network interoperability. Finally, it’s worth considering that Apple’s design preferences tend towards fewer and fewer outward protrusions and ports on the device’s surface. Steve Jobs and Jonny Ive would jump at the chance to make the iPhone’s minimalist lines even cleaner. And by removing the SIM slot, Apple could have more design room to fit additional components or utilize extra space for a larger battery. If Apple wants to make a splash with the next iPhone with under the hood changes, this is definitely one that would do it. What Happens When Data-Friendly Phones Come To Prepaid? I think this is just Apple reducing its manufacturing costs. They now produce ONE iPhone motherboard, and depending on if the chassis contains a SIM card slot and the appropriate antenna, this one motherboard can be used in either a GSM or CDMA version of the phone. Or a version of the phone that can be used on either, if the chassis somehow contains an antenna that will work on either system plus a SIM card slot. I hope this means the iPhone will be available on any carrier soon. There are millions of people living in areas that are not covered by either AT&T or Verizon but do have coverage from T-Mobile, US Cellular, Sprint, CellularOne, etc. They deserve to be able to have an iPhone as well. Besides reducing manufacturing costs, Apple will, perhaps more significantly, increase its power over the telecoms. With one aspirational global phone available only from Apple, telecoms would have less to hold over Apple. As parts prices drop, Apple could sell iPhone 5s, 6s, and 14s without telecom subsidies whatsoever. A large segment of customers would demand and choose great support and services from carriers directly, thus eliminating Apple’s need to negotiate with the carrier ‘orifices’. Apple could eventually move the iOS world (all iOS devices) into an MVNO entity like Virgin Mobile, perhaps even buying VMobile and buying mass bandwidth from telecoms and supporting customers directly. This might be a good response to Android and other pretenders. Do you think they have the chops to copy and match Apple at the same level of quality and cost? while carriers around the world may support the gemalto embedded SIMs I doubt they would offer the sort of pricing that consumers can get by installing their own SIM cards. to really enjoy the lowest costs while travelling internationally it is important to have SIM swappable. i would be concerned that GSM operators would start to do what CDMA operators do now which is make certain data plans mandatory for certain pieces of hardware. So you’re saying Verizon would drop iPhone support if iPhone 5 has virtual SIM’s? I can’t see it. I can’t see any carrier removing themselves from the iPhone ecosystem. I think virtual SIM’s would add iPhone carriers (for example Sprint and T-Mobile in the US), not reduce iPhone carriers. And users would often have more than one carrier. They will buy them like apps. i am not talking about the expensive carriers like verizon. will tiny but much less expensive carriers like simple mobile whose SIM cards can now be cut down to size and used in an iphone be part of the equation. Wouldn’t a dual-mode phone also require dual antennas, also? I wouldn’t be surprised if the new symmetric antenna banding on the Verizon iPhone is adaptive to both GSM and CDMA frequencies. Yeah, but then who would be in control? Currently, for unlocked phones the user determines the carrier by simply switching out the SIM. This new scheme would put Apple in control and, given their current behavior, we’d see them deciding which carriers we could go with. They’d also insist on a slice of our monthly cellular bill, even if we bought that iPhone post-contact and used. No thanks, Apple. Fortunately, there is probably a certification procedure supervised by cellular companies that’d block this sort of behavior. On this, they could probably agree. Call it another symptom. Amazon, Apple and Google seem to be developing into control freaks. Each has a big slice of a market that they want to grow until they control all of it. Someone should point out some history starting with Standard Oil and passing through IBM and AT&T to Microsoft in the late 1990s. The user would be in control, same as always. Apple devices are popular because they are user-centric in their design. Contrary to nerd propaganda, iPhone gives users more control over what their device does than alternatives. There is no crapware, no hidden background processes, no malware, about 500,000 customized apps that install locally and work perfectly with 1-click (including HTML5 apps), and every device had a SIM up until a few days ago. There is a mythical Android phone that is freer than iPhone, but it is only a myth. Android phones are carrier phones, they are carrier-centric in their design. Users cannot even get system updates reliably. Most Android phones work only on the carrier you bought them from. If you compare a Discman to an iPod, you get the idea of what the virtual SIM rumor is about. Although Discman ostensibly has more CD’s (1 instead of zero), it is actually iPod that has more CD’s â€” many more â€” but they are virtualized. An iPhone without a SIM slot would not have zero SIM’s, it would actually have unlimited virtual SIM’s. It’s pretty obvious if you examine the SIM slot that the idea of users removing and installing SIM’s one-by-one as they move around is quaint. They contain even less data than a CD. In an Apple phone, they are entirely anachronistic. Right now there is a trend of dual SIM slots so users can subscribe to 2 carriers at once, and the phone can automatically switch between them when appropriate on behalf of the user, to save then from roaming charges or keep them connected. Should phone makers put 3 slots in there? 4? 10? What is needed is virtual SIM’s, so the user can take advantage of the original value proposition of SIM’s without having to play DJ with them. An iPhone 5 with dual-mode radio and SIM slot could be bought unlocked and the in the US, and Verizon and AT&T could compete for your monthly business, and you could swap in whichever SIM was cheaper each month. Or, with a virtual SIM, you could sign up with Verizon, AT&T, T-Mobile, and Sprint, and your phone could automatically use whichever is cheaper for every individual call, or whichever carrier has a better signal. If you’re in NYC and your iPhone barely sees AT&T, then AT&T will get 49 cents from you that month. That would be actual competition. And it would be yet another example of Apple prioritizing the user over the carrier, something you don’t see with other phones, which are almost exclusively sold by carriers.